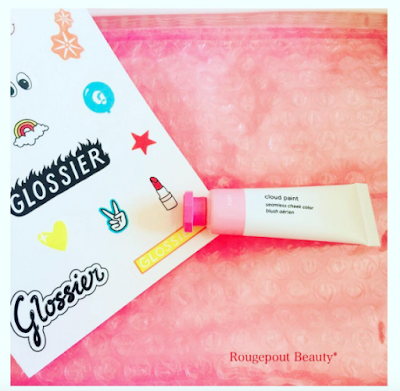 Rougepout Beauty: Glossier, first impressions - it's more than pink bubble wrap! Glossier, first impressions - it's more than pink bubble wrap! 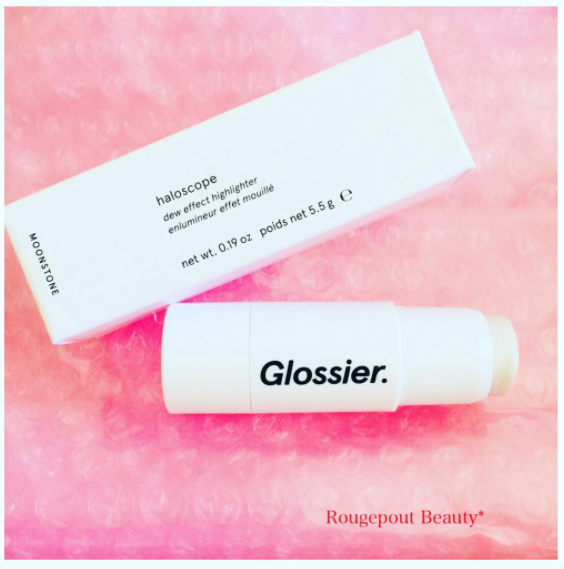 Glossier, yes, here I am, another one of those beauty folk who leapt at the opportunity to order products when the brand launched in the UK this month. I had read and watched so much about this brand that it should have been overkill and put me off but, there was something about the whole look and presentation of the brand and products that made me 'need' to try it. So, what are my initial thoughts? Milky Jelly Cleanser, I was certain I wouldn't buy this, the name made me cringe, I loathe jelly/gel-like textures, but, for a morning cleanser, it really appeared ideal. Creamy and slightly on the jelly side, it smells very subtlely of roses, works well over a dry face or damp. I wash this off and my skin is clean and doesn't feel tight or too dry. 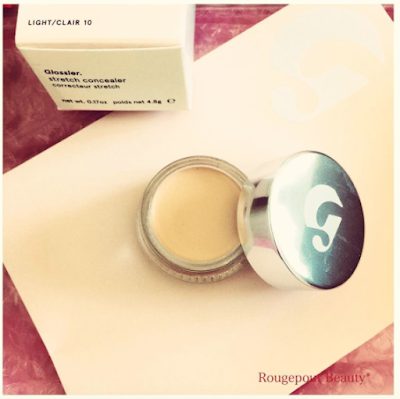 The Stretch Concealer, I went for the shade light and it is perfect for my dark circles. I have never used a concealer like it, it is astoundingly good, super light-weight, effective, the product moves with the skin, rather than being set in one place. It has a luminosity and the consistency is so delicate, it's almost invisible when applied but, it, works, the dark circles are hidden away. I love this already and it has out-performed so many of my long-term favourites. Say 'hello' to Haloscope, Glossier's highlighter I chose the shade Moonstone and what a high it is, superb! This is so flattering, it gives a seamless, dewy, natural, gorgeous glow to any areas you wish to highlight. I couldn't be more enthusiastic, enough to say, I have already ordered the shade Quartz from the range. Haloscope is that good and very flattering, no shimmer or glitter, just a natural, beautiful sheen and glow. Cloud Paint was the product I was most excited to get my hands on and it is so good. From the painters tubed packaging to the totally fabulous texture and colour payback, this is head in the clouds type stuff, I feel quite romantic about the softness of texture, the burst of colour, I have the shade puff, blended with my fingers this gives a warmth, a healthy pinkness to the cheeks that lifts the face and stays in place. It is seamless, a natural flush of colour, total perfection, I love it and again, have ordered another shade because I am obsessed. This was a little extra and I believe a new launch this month, Glossier you, an EDP which smells peppery, warm, sweet and I love it! 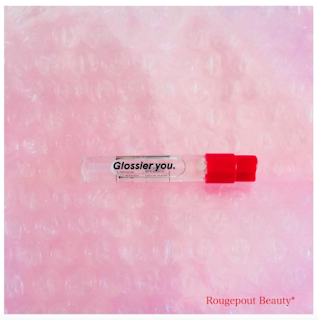 Glossier, for me, has been a positive first impression, most items have been far better than expected, all have been flattering for my skin. I love the ease of application and that has generally been with fingers, the concealer, blush and highlighter really work well with the warmth and patting motion of my fingers. Deliver has been very quick, however, I do know that they are now running slightly late with the estimated delivery times due to the interest in the brand and orders placed. As products are taken straight from a warehouse here in the UK, you have no customs charges or taxes to worry about, with a spend of over £25, you also get free delivery. I love the care that goes into each box, the stickers are fun, the pink bubble wrap cosmetic bag is useful and products are secure, it's a nice touch. 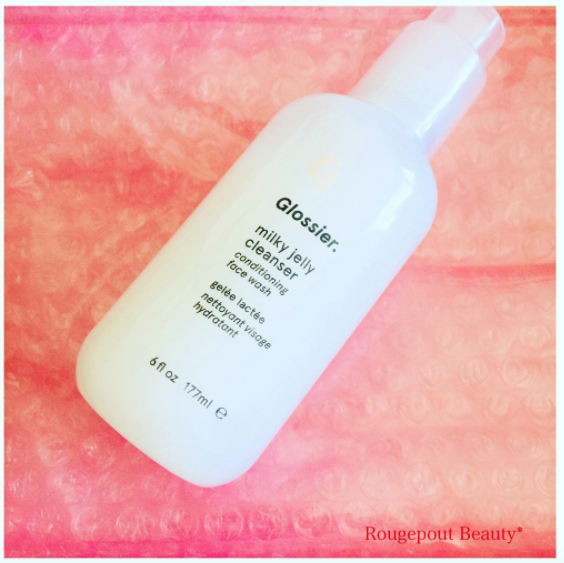 Glossier has been a delight for me and as I have said, I have already made another order. This is not an ad, by the way, all products were bought with my own pennies. I'm just a new Glossier fan. By using the 10% Glossier link, I will, in turn, get £10 store credit, or you can just go straight to the Glossier website.